Mississippi State: Although the Bulldogs are coming off a narrow loss to Tennessee in the SEC tournament, their resume still isn’t all that great, and certainly not deserving of a 5 seed. They are 6-8 against the tournament field and 1-6 vs. Top 25 teams. They also have a couple of bad losses to Alabama and South Carolina in conference play. I wouldn’t be surprised, with the number of losses this late in the season and the lack of strength of schedule in their non-conference schedule, to see Liberty upset the Bulldogs come Friday night. Oklahoma: I’m pretty surprised that a team that finished 7th in the Big 12 and a whopping 2-11 against the tournament field made this tournament. Their only two wins against the tournament field come both at home against Florida and Kansas. The Sooners also lost to a 13 win West Virginia team in the first round of the Big 12 tournament. Like Mississippi State, Oklahoma only has 1 win against top 25 teams. I would not be surprised if Ole Miss won by 15+ against a quite overrated Sooners team. Washington: If you watch college basketball, you’ll probably notice how poor the Pac-12 is doing this year, sending only 3 teams to the tournament. If you take a look at Washington’s record, you’ll see they have a solid 28-6 record. But their best win is against an Oregon team who is a 12 seed in this year’s tournament. They have not beaten a single top 25 team this year and have gotten blown out by 15+ by teams in the tournament field such as Auburn and Virginia Tech. Look for the disappointing year for the Pac-12 and an abysmal non-conference record to cost the Huskies against Utah State. Marquette vs. Murray State: We’ve all been waiting to see what Ja Morant can do on the big stage, and what an opportunity to see him square off against one of the best guards in America- Markus Howard of Marquette. Obviously, these two great guards will be each team’s key to success, but I believe whoever’s supporting cast can show up will come out victorious. Whether that be Sam Houser and Theo John from Marquette or Shaq Buchanan and Darnell Cowart from Murray State, someone will need to step up. I predict Markus Howard and Marquette will edge out the Racers in this battle. Wofford vs. Seton Hall: This is a great battle of two sneaky good basketball teams. Wofford has won 20 in a row and has been looking outstanding in just about every aspect. Fletcher McGee has been a huge part to the Terrier’s success lately, averaging 20.5 points per game. For Seton Hall, they’re coming off a narrow loss to Villanova in the Big East championship and are playing well themselves. Myles Powell is an extremely underrated guard who can do it all you can ask for a great guard. He’s great in transition, has a great pull up jumper, and is an excellent 3 point shooter. I predict McGee and the Terriers will defeat the Pirates in this one. Auburn vs. New Mexico State: Quite possibly one of the hottest teams in the country in the Auburn Tigers, after coming off an SEC tournament championship victory against Tennessee, doesn’t have the first round off. Their opponent, New Mexico State, is an extremely good rebounding team and could give Auburn some big-time trouble on the glass. The Tigers will need to contain Eli Chuha, who led the WAC is rebounds this season. Auburn will also need to get their guards Bryce Brown and Jared Harper going and have them scoring. I predict Auburn will silence the noise and defeat NMSU. Wofford: Whenever you see a team in the NCAA tournament that has won 20 straight games to get there, you know they can compete with the best. Led by Fletcher McGee, other players such as Nathan Hoover and Cameron Jackson can create matchup problems with shooting and athleticism. This is a team who almost took down UNC and Mississippi State, and certainly has the talent to make a run in the tournament. Duke: Ever since a 34 point win in their debut against Kentucky, everyone has been talking about who can beat Duke. But when Zion Williamson got hurt, all of a sudden, they didn’t seem as unstoppable anymore. Ever since they got the projected #1 pick overall in the NBA draft next year, they’ve looked just as unstoppable as they were at the beginning of the year, winning the ACC championship over Florida State. The four freshmen of Zion, RJ Barrett, Cam Reddish, and Tre Jones with a solid big man in Marques Bolden makes for the hardest starting 5 to guard in college basketball. Cincinnati: After losing a couple of tough conference games to UCF and Houston to end conference play, it looks like the Bearcats have found a bit of a groove, winning the AAC tournament with a dominant win over the regular season champ in Houston. Jarron Cumberland and Keith Williams are two hard guards to defend and can do a little bit of everything. They’ve also got a great big man in Tre Scott who is very hard to keep off the glass. Even though Gonzaga has some very talented players on their roster this year such as Josh Perkins and Rui Hachimura, there are some games in the tournament when Mark Few and the Zags just get shocked. 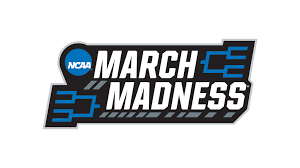 With all the talent in the West region this year, such as Florida State, Marquette, Texas Tech, and Michigan, I can definitely see Gonzaga with the earliest exit out of the one seeds in this year’s tournament. Why Duke? : Ever since Zion Williamson’s return at the start of the ACC tournament, this Duke squad has been looking unstoppable. A combination of the possible Naismith Player of the Year in Zion, one of the best slashers in the country in RJ Barrett, one of the ACC’s best shooters in Cam Reddish, and a great defender in Tre Jones make for a strong national title contender this year. I predict the Blue Devils slide past Michigan State in the Elite Eight to advance to Minneapolis. Why Michigan? : It’s been quite the up and down season for the Wolverines. Starting off the seasons with dominant wins against UNC and Purdue and entering conference play as a top 3 team in the country. But they’ve had some tough losses in conference play and now sit as a 2 seed out West, where opponents like Gonzaga and Texas Tech stand in their way early on. However, the Wolverines have a talented roster with great shooters such as Jordan Poole and Iggy Brazdekis to go along with superb defenders like Zavier Simpson and Charles Matthews. Their defense will be a big key if they want to make a run, as there are many talented players that can cause matchup problems in the West Region. I predict that Michigan will upset Gonzaga to advance to another Final Four. Why Tennessee? : Athletic teams usually do well when it comes to the NCAA tournament. And in my opinion, the Volunteers are definitely the most athletic team in the country. Only a select few teams can contain guys like Admiral Schofield and Naismith Player of the Year Nominee Grant Williams. But I think Jordan Bone will be a huge part of the Vol’s success in the tournament, as teams will mostly gameplan to just stop Schofield and Williams. He’s an excellent facilitator and does a great job at creating open shots for his teammates. The athleticism combined with great shooting will help the Vols get past Virginia in the Elite Eight. Why North Carolina? : An excellent resume has shown us why the Tar Heels are a legit title contender. They have big wins over Wofford, Gonzaga, Duke twice, Virginia Tech, Louisville twice, Florida State, and Syracuse. But what I think makes them so great is that their starting 5 is just as good as anyone in the country. Coby White is an excellent shooter and is very explosive. Cam Johnson can also shoot from outside and get inside but can rebound very well with his length. Luke Maye is a veteran guy who can do it all and provide tournament experience for some of the younger guys on the team. And Nassir Little, a projected first-round pick, is a powerful big man and a rebound machine. I just think it will be way too hard for the majority of the guys to find 5 guys to guard UNC’s starters. They have a championship-ready roster that has at least someone that can do everything. Obviously, ACC teams will have an advantage when it comes to game planning and familiarity, but I think Luke Maye and the veteran experience will come in handy come tournament time.